The embargo has now lifted on abstract #67, “Effectiveness of population-based service screening with mammography for women age 40 to 49,” from the 2010 Breast Cancer Symposium, taking place October 1-3. The lead author on this abstract is Hakan Jonsson, MD, PhD. You many now file any news articles related to this abstract only. The embargo on all other abstracts from the 2010 Breast Cancer Symposium will lift at 6:00 PM ET tonight. 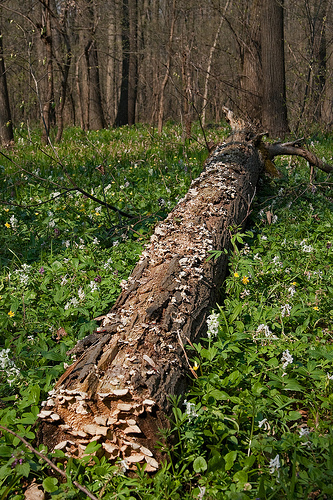 So if a study is published in the forest, and no one reads it, was it embargoed? Unlike nerves of the spinal cord, the peripheral nerves that connect our limbs and organs to the central nervous system have an astonishing ability to regenerate themselves after injury. Now, a new report in the October 1st issue of Cell, a Cell Press publication, offers new insight into how that healing process works. My former colleague, Edyta Zielinska, flagged the notice for me. She didn’t know why the embargo had been lifted. Normally such emails mean someone has broken it. She also said it was the first announcement about the paper, which looked interesting to her. 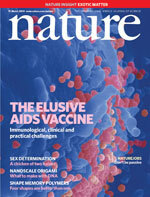 Does Nature Precedings give authors an embargo policy loophole? The other day, Bob Finn flagged a post on the NASW-Talk discussion list from A’ndrea Elyse Messer, senior science and research information officer at Penn State. It appears that this free and open site totally blows away Nature’s own embargo policy. I don’t know when it came into being, but has anyone had researchers post pre accepted papers on it and/or has anyone used it to write a story before publication? If you missed Jimmy Carter on the Daily Show last night, no fear, you can watch the interview here. 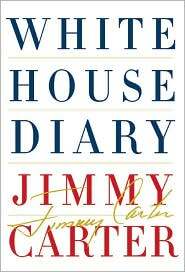 And if the interview makes you want to pick up Carter’s new memoir, White House Diary, you can do that here. Did New York Times break Lasker embargo with AP story? The Lasker Awards announcement went out early this morning, as many news outlets ran their stories timed to the 12:01 a.m. embargo on the $250,000 award that is often looked to as a clue to future Nobel Prize winners. This year’s award went to Genentech’s Napoleone Ferrara for his work on the eye disease macular degeneration; Douglas Coleman, of the Jackson Laboratory in Bar Harbor, Maine, and Jeffrey Friedman, of Rockefeller University, for their work on leptin, a hormone linked to appetite; and Oxford’s David Weatherall, for his work on the blood disorder thalassemia and other subjects.